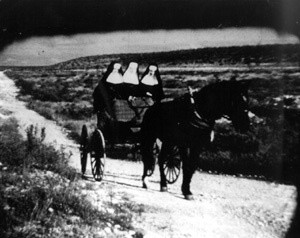 The first Sisters of Charity of the Incarnate Word, three young French women motivated by the love of God and their recognition of God's presence in each person, came to San Antonio in 1869 to minister to the sick and the poor. Their spirit of Christian service is perpetuated in the University of the Incarnate Word primarily through teaching and scholarship, encompassing research and artistic expression. Inspired by Judeo-Christian values, the Catholic Intellectual Tradition, and Catholic Social Teaching, the University of the Incarnate Word aims to educate men and women who will become concerned and enlightened citizens within the global community. Thus, it is with this rich and strong foundation of the Sisters of Charity of the Incarnate Word that the University of the Incarnate Word is committed to continue their work by requiring undergraduate students to complete 45 hours prior to applying for graduation by serving the sick, poor and less fortunate via acts of community service. Done after high school and within last 5 years (for undergraduates); outside one's home; not for pay; as an individual or with a group; in conjunction with nonprofit, governmental, and community-based organizations; supervised or with a contact person who can verify service completed. Catholic Social Teaching calls UIW to serve those in most need in the wider community; but needs are everywhere: neighborhood, UIW, wider community including the global. UIW encourages students to do most of their service in the wider community. Needs may include: health care, child care, literacy training, education, welfare, social services, transportation, housing and neighborhood improvement, public safety, crime prevention and control, recreation, rural development, community improvement, animal care, and care for the environment. At UIW, students reflect about their service (on the documentation form and with other methods) with the goal of making volunteer service a life-long commitment.